OLD PARKED CARS. : 1986 Plymouth Voyager. the silver van is a familiar car that i've probably photographed before but not posted. caught this ridiculous specimen a few days ago on my way to return ben's borrowed dslr. then immediately after, i saw the silver van with an unobstructed profile shot, photographed it, and the day felt cosmic. And welcome back! Always good to see classics.. These spambots don't even try anymore. What a beauty! The color-matched wheels are magnificent. If only the pre-FIAT-era D/P/C vehicles weren't so horribly built ... I miss seeing K-cars, Vans and the Shadow/Sundance. I don't see why this vehicle is special or a beauty. It's plain and dull looking. I've been following this blog since the beginning and just because a car is old doesn't mean it's a good find or aesthetically pleasing. 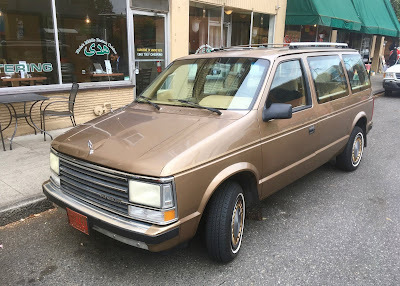 The Montero I used to have is more of a "ridiculous specimen" than this van even though there are no second-generation Monteros added to this blog. The Montero I had looks like an insurgent vehicle straight out of Africa. While this van is just plain and dull. Blah blah blah, you have no idea what you're talking about. Those Monteros are common to this day. These Voyagers/Caravans? Nigh extinct. Yeah, well, you know, that's just like, uh, your opinion, man. That's nostalgic for me. 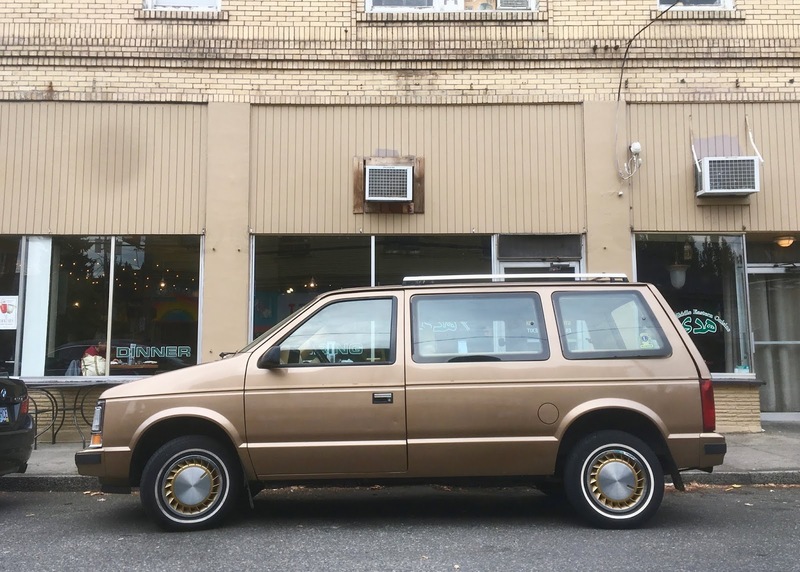 I learned to drive on an 86 Voyager. It was white and had an (uncommon) manual transmission. That captain seat was quite comfortable. I don't recall it having head rests though. 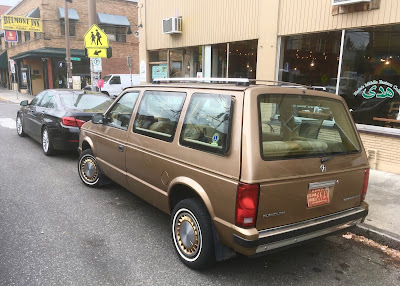 I remember riding in a van that looked almost exactly like this when I was a kid. My dad used to drive down the road and stop quickly to shut the door. It would make my sister and I laugh so hard. A good friend of mine collects the old cars, sometimes I even think that he has all the cars in the world in his collection. At first I was in doubts about this hobby, because it’s always such a big deal to buy a car, moreover if it’s not a new one. But he told me that he uses https://www.faxvin.com/vin-check/puerto-rico and just entering the VIN number of the car he can get the information about the accidents history of the car, recalls and defects, mileage, theft records and stuff. Love this van. We used to have one just like this when I was a kid.